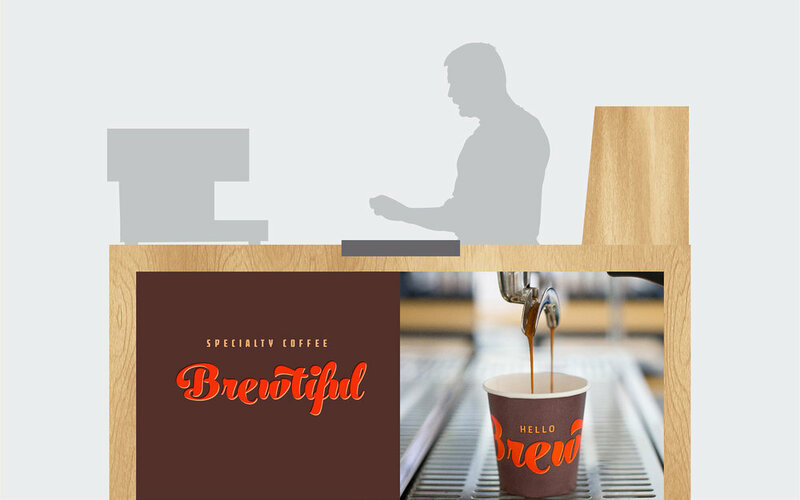 Brewtiful is a new way of enjoying coffee — while you’re shopping. It’s an espresso bar that acts like a guest in premium retails. It only serves specialty coffee, to go. The freshly launched business already has 6 bars throughout the country in Bucharest, Cluj-Napoca, Baia-Mare, Timișoara and Constanța. Specialty coffee is the ultimate coffee you can drink on the planet. The taste of it depends on every little detail from farm to cup, including the openness of the drinker. Brewtiful makes sense as a name because it gives the drinker the liberty to fill it with meaning. 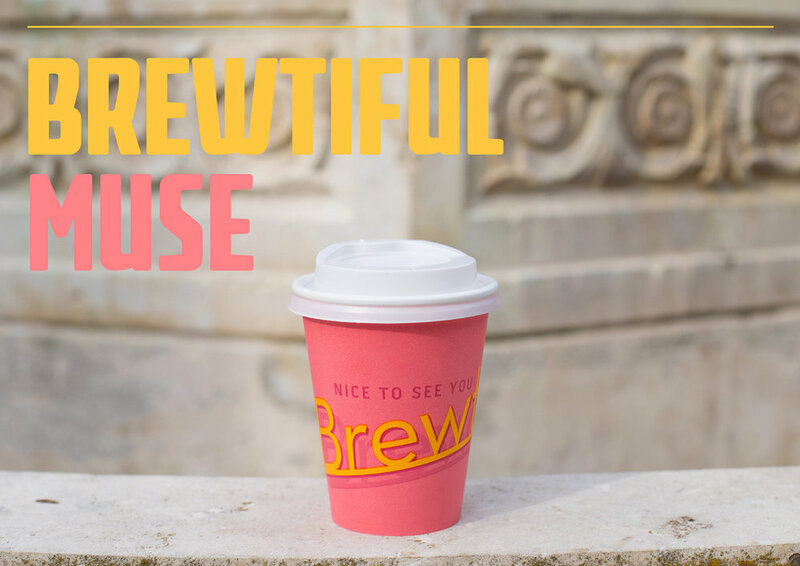 Brewtiful has a versatile identity. Unlimited potential for variation. The wordmark can take any shape, as long as it keeps the hand painted signage feel and the retro look. The colour palette is inspired from Wes Anderson’s movies. Each cup has its own color, so you don’t have to remember the name of the drink. 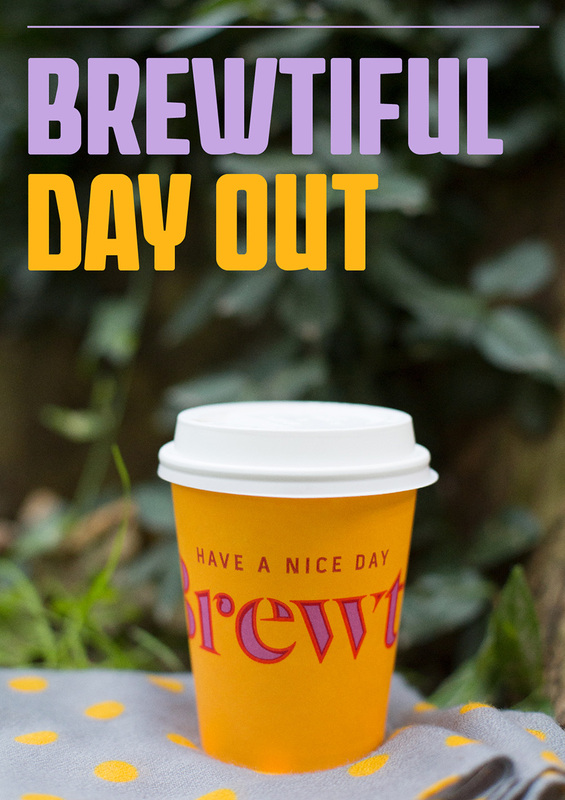 Brewtiful is exactly that. You go to your favorite store to buy shoes and you grab a quick but amazing coffee at the coffee spot. The bar adapts its signage from one space to another to blend in. Black and brown are the dominant colours in communication. The visual style complements the vivid cups with a more reserved, artisanal look. The world of specialty coffee has something experimental about it. We took this into our work, including when we searched the city for interesting places for the product shots with photographer Adi Tudose.